You came to ski too, right? Reserve your lift tickets, lessons & ski or snowboard rentals through us for the best price! Tickets will be available in our Hospitality Suite at the Limelight Hotel starting January 13th. We offer the best daily and weekly rates around. 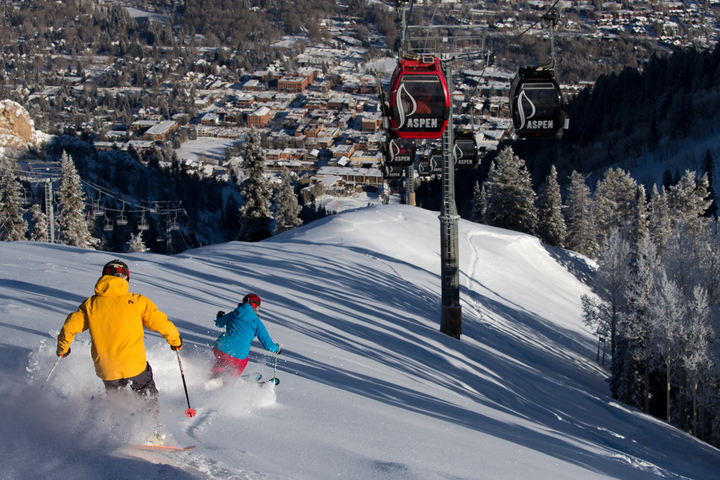 You can ski all four of Aspen’s mountains on a single lift ticket: Aspen, Aspen Highlands, Buttermilk & Snowmass. 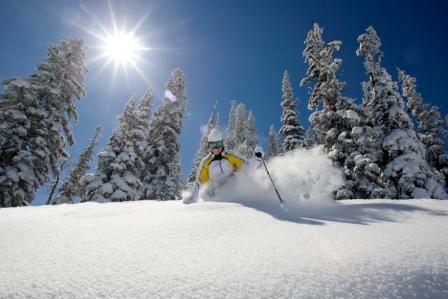 You can ski on one ticket on any of the four mountains…Aspen in the morning then Snowmass after lunch? Why not!? Free transportation between mountains as well as free equipment storage and transfer if you rent from Four Mountain Sports. Lift Tickets and Rentals only available in our Hospitality Suite at the Limelight Hotel starting January 13, 8-11am & 3-6pm daily. Online Sales are now closed. Lift ticket pricing for 2019: With packages as low as $82 per day. *yes we know it doesn’t make sense that the more you buy the more you pay, we don’t set the prices, but we assure you that they are less than you would get at the ticket window. Thanks! Why carry your equipment when Aspen Skiing Company will do it for you? 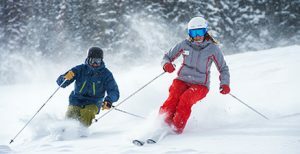 With our partner, Stay Aspen Snowmass, Aspen Gay Ski Week guests get special rates and package deals on lift tickets and ski or snowboard rental from Aspen’s official equipment rental company, Four Mountain Sports. Why look anywhere else? You get your whole package here at the best price. One lift ticket is good for all mountains and there is also free shuttle bus service between the mountains..you can start the day in Snowmass and finish on Aspen. There is also ski storage and transfer available between mountains, this service is free if you rent from Four Mountain Sports through us. Call 866-564-8398 to speak with an agent in Aspen. Get high end new rentals for our partner at Four Mountain Sports, located at each of the four mountains and at locations in Aspen as well as the Limelight Hotel. You can also get individual pricing on boards, skis, boots, poles and helmets, all include free transfer between mountains and nightly storage at no extra cost! Buttermilk Deluxe Private Ski or Snowboard Lesson – The best way to ride your first time! This is an amazing deal and experience for you and 4 of your friends. Private ski/snowboard lesson for 5ppl for a full day on Buttermilk for $420 January 14-21, 2018. That’s a little more than $100 a piece for each of you. Beginners and experts agree: a lesson with the Aspen Snowmass Ski & Snowboard Schools improves your technique and makes a day on the slopes more enjoyable..Our Guarantee: When you consider that every lesson is backed by Our Guarantee, it becomes a risk-free investment – if you are unsatisfied with your lesson, we’ll enroll you in another lesson at no extra cost to you.